Companies considering including a provision requiring arbitration of disputes in their contracts can learn valuable lessons from a recent New Jersey appellate court decision. The court’s opinion highlights the pitfalls of relying upon an imprecisely drafted and/or one-sided arbitration clause, especially in a consumer contract. Despite the continuing rise in popularity of arbitration clauses and the strong preference for arbitration under both federal and New Jersey law, the case reminds us that not every arbitration agreement will be enforced. Analysis of early impact of the revised federal rules of discroty. In Dvorak v. AW Development, LLC, (N.J. App. Div. January 13, 2016), homeowners contracted with AW Development to construct and install a two-bedroom prefab ranch home after their previous home had been destroyed by Superstorm Sandy. Disputes arose about whether the house was timely delivered. Despite a provision in the contract seemingly requiring non-binding arbitration, the homeowners filed a lawsuit in New Jersey state court alleging breach of contract and other causes of action. The trial court granted AW’s motion to dismiss the complaint on the basis of the non-binding arbitration provision, and the homeowners appealed. An arbitration clause will be enforced only when it is the product of mutual assent and clearly explains to the parties that they are waiving their right to go to court. If arbitration is intended to be a mandatory condition that must be satisfied before a lawsuit can be filed, the contract must clearly say so. Because this contract did not clearly state that arbitration was a condition precedent to filing a lawsuit, the court ruled that it was not. In the court’s opinion, the statement in the contract that claims “shall be subject to non-binding arbitration,” does not expressly or impliedly prohibit a party from filing suit or empower another party to force the dispute into arbitration after a lawsuit has been filed; it merely says the parties agree to non-binding arbitration if one of them demands it. Next, the court took issue with the fact that the jury waiver provision had a broader reach than the arbitration clause. The latter applied only to “claims arising out of or related to this Agreement,” whereas the jury waiver provision applied additionally to claims “relating to the relationship of the parties, whether in contract, tort or otherwise.” Certain claims, therefore, could be subject to the jury waiver but not the non-binding arbitration clause. That inconsistency also led the court to conclude that the arbitration provision was unenforceable. Finally, with regard to the precision of the non-binding arbitration clause, the court found fault with its reference to “the Construction Industry Arbitration Rules of the [AAA],” because those rules do not include a provision for non-binding arbitration. For all these reasons involving imprecise drafting, the court found that the arbitration clause did not clearly and unambiguously require the parties to arbitrate their claims before filing a lawsuit. WHAT SHOULD CONTRACTING PARTIES DO TO ASSURE THAT THEIR ARBITRATION AGREEMENTS ARE ENFORCED? First, define all contract terms and reference arbitration rules and procedures that actually exist. If your contract calls, for example, for arbitration under the rules of the American Arbitration Association, make sure that the AAA rules and procedures provide for the type of arbitration your contract mandates. Second, your contract must state that the parties are waiving their legal right to go to court and have a jury trial and are agreeing instead to refer their disputes to arbitration. If the intent is to make arbitration non-binding, but a prerequisite to filing suit, the agreement must expressly state those terms. Third, be fair in allocating rights and privileges under the contract and resist the temptation to give the company, but not the other party, a procedural or substantive advantage unless there is an objective rationale for doing so. Courts do not look kindly on contracts that provide for disparate treatment of the parties without justification, and any attempt to use superior bargaining power to gain an unfair advantage over an adversary might backfire. 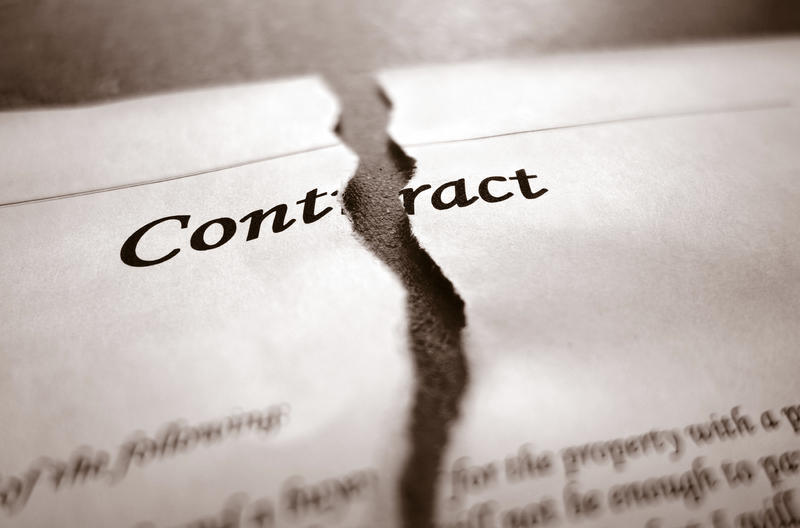 The same dynamics at play in this case involving a consumer contract are frequently found in employment agreements, which are also prone to contracts of adhesion. An employer that chooses to implement mandatory arbitration agreements with its employees should ensure that the contracts are even-handed and comply with other legal requirements the courts have imposed on employment arbitration agreements. Philip Kirchner is a member of Flaster/Greenberg’s Litigation Department headquartered in Cherry Hill, NJ. He concentrates his practice on resolving business disputes, including complex litigation of all types of business issues in both the federal and state courts of New Jersey and Pennsylvania. He can be reached at 856.661.2268 or phil.kirchner@flastergreenberg.com.